Isn’t that the most dreaded error you come across? Regardless, it is not the case for US Netflix alone. If you try to access Netflix of a country other than yours, you will get the same Netflix proxy error message (netflix.com/proxy). It is all due to the copyright or licensing issues of the Netflix service which are reserved for the country it is operating in. Moreover, as long as there is a proxy or a VPN service provider and Netflix region-specific licensing policy, you will continue to see the infuriating error. Why is a VPN best to evade Netflix Proxy Error (netflix.com/proxy)? 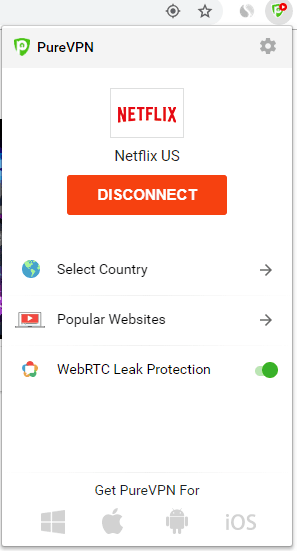 Suppose you are on vacation in the UK and you want to access the US Netflix. Unfortunately, when you try to access the Netflix, it will open the UK version of the service and shows UK content instead of US. There is not much visual difference to tell instantly if you are accessing the US library or the UK one. However, titles that you loved watching back in the US will no longer be available. If you try to look up your TV show on Google, you will find it instantly. But when you click the search result that is supposed to lead you to Netflix’s Library and allow you to access your favorite TV show, you will get a proxy error. Here a Virtual Private Network (VPN) comes into play, allowing users to bypass the Netflix proxy error and enjoy their favorite TV shows regardless of which country they are in. How To Fix Netflix Proxy Error With VPN? There are not many services that offer uninterrupted and seamless Netflix access. But PureVPN does. However, you first need to subscribe to the service by going through its website. Choose the deal that best meets your need. We recommend you to choose the 2-year plan so that you don’t have to re-subscribe at least for another two years and thus enjoy Netflix for a prolonged period. After getting your PureVPN credentials, go to the PureVPN extension page where you can download the add-on or extension for your preferred browser: Firefox or Chrome. 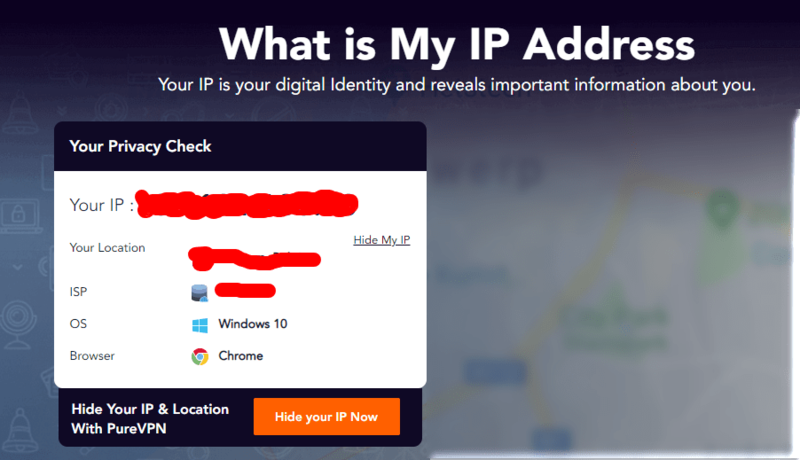 Before connecting the PureVPN, first of check your real IP and location. 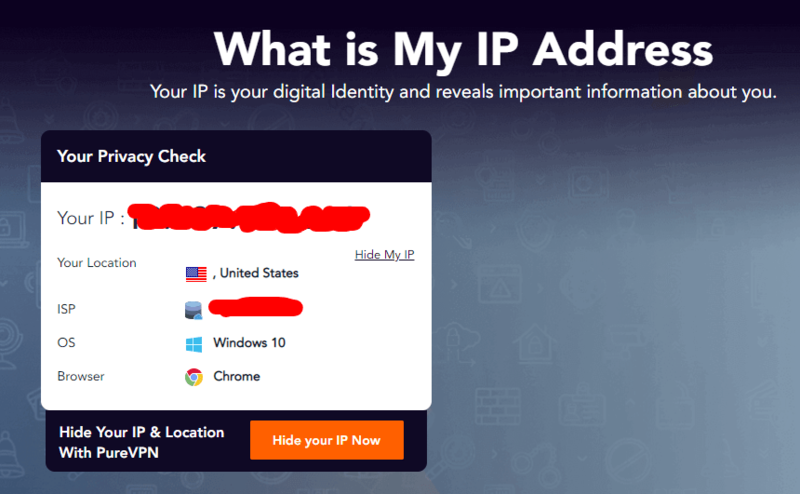 Visit the website: whatismyipaddress.com to check your IP. Since you are not using a VPN, your browser will show your actual IP and location. Open up the device where you want to stream your favorite shows on Netflix. Now, click on the Popular Websites tab and you will get a list of streaming services that you can connect with PureVPN. Currently, PureVPN offers instant access to a list of streaming portals other than Netflix. Click on the US Netflix server. To make sure that the VPN is working, you may visit the website: whatismyipaddress.com again to check your IP. You should be able to see now that your IP has changed to a different one as well as your location. Now, visit the Netflix website. You will see that you access the website without any hindrance. Now click the show you want to watch and enjoy seamless streaming without worrying about any Netflix proxy error. Here is a quick video tutorial on how to watch US Netflix with PureVPN from anywhere in the world. How Does Netflix Detect I Am Using VPN? You get the Netflix proxy error because Netflix has a smart detection system that not all VPNs can evade. As mentioned earlier, some VPNs might be able to get you to the Netflix website of the country you want. But, it won’t be able to help you stream the content. Netflix has long been against the use of VPNs or proxy servers. And, it is not simply because it has some grudge against the services themselves. On the contrary, Netflix has some strict obligations that require service to show licensed content to only agreed-upon countries. How Netflix Detects a Proxy or a VPN? You get the Netflix proxy error because the streaming service follows advance proxy detection practices. By verifying user authentication and thoroughly analyzing the content delivery, it can detect a proxy or a VPN. 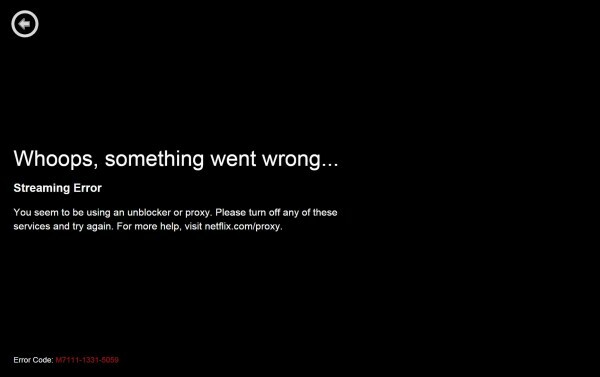 As a result, when you use a VPN that is not compatible with Netflix, you get the Netflix proxy error. Regardless, you don’t have to worry about the Netflix proxy error when you use PureVPN. Netflix is popular indeed, but its “streaming hegemony” may soon come to an end due to fierce competition. Netflix already has some big competitors like Hulu and Amazon that have some good level of fan following around the world. Just like Netflix has its exclusive shows that are gaining worldwide popularity such as Stranger Things, Amazon and Hulu also have their exclusive shows that are not behind in the lines such as Transparent and The Handmaid’s Tale, respectively. But Hulu and Amazon aren’t the only names Netflix has to worry about in the coming months or years. There’s also the granddaddy of entertainment stepping into the world of online streaming, the Walt Disney Company. With outstanding shows and titles like Marvel, Star Wars, Pixar and Disney’s live-action, Walt Disney Company may soon get ahead of the competition. Say goodbye to that annoying Netflix proxy error for good, and enjoy Netflix on your PC, laptop, SmartTV, Amazon Fire Stick or any other device with PureVPN. Want to Test Netflix with PureVPN? If you are not so sure if PureVPN will be able to let you access Netflix US, you can always try out the service before making a long-term commitment such as getting a 3-year plan or a 5-year plan. For such a case, you can subscribe to PureVPN and get a 1-month package. The one month plan has all the same features, and provides the same amazing functionality that you can make use of to access Netflix US from anywhere int he world. With PureVPN, its super-easy to bypass Netflix’s Proxy Errors and access whatever you want, right away. If you dont like it, there is a money-back guarantee for you. But chances are that you will fall in love with the service. Streaming without a VPN is a risky business. Doing so exposes you to a dozen different vulnerabilities which can invade your privacy. These include hacks, ransomware, cyber attacks, cyberstalking, and worse, blackmail and extortion. The internet is not safe. It is our job to browse the internet only after we have taken precautions. The best precaution you can take is by installing PureVPN and connecting to it, everytime you go online. This way, you will remain completely anonymous online, and no one will be able to track you or your activities. As a rule of thumb, always use PureVPN when you go online. I am using purevpn on the US site and I am able to access netflix with ease. Mohsin Qadir, thank you for your blog post.Really thank you! Awesome. We are sorry that you are unable to watch the movie you want. Currently, PureVPN does not support Netflix Switzerland. But we are working on it and will add more countries very soon. im using pureVPN and i still get this error all the time….. Please contact our 24/7 live chat support. One of the technical support engineer will help you.